If you are a journalist with questions or an interview or media request, please do not hesitate to contact us. COPENHAGEN, Denmark and AMSTERDAM, Feb. 19, 2019 /PRNewswire/ -- AGC Biologics, a global leader in clinical and commercial manufacturing of therapeutic proteins, and Calypso Biotech B.V. (Calypso), a biotechnology company focused on the development of novel therapeutic antibodies in the inflammation/autoimmune therapeutic areas announced today that they have entered into an agreement for the process development and cGMP manufacture of CALY-002, a humanized monoclonal antibody inhibiting Interleukin-15 (IL-15). Under the agreement, AGC Biologics will develop and scale up a process for cGMP manufacture of CALY-002 in its world class facility in Copenhagen, Denmark to support Calypso's clinical trials in Europe. IL-15 is an immune checkpoint cytokine that controls inflammation as well as the fate of multiple immune cells. Especially, IL-15 was recently recognized as a key factor in the survival of tissue-resident memory T cells, a population of immune cells involved in disease maintenance and recurrence. Calypso scientists believe that targeting tissue-resident memory T cells with CALY-002 offers significant advantages and potential in multiple autoimmune indications, including unprecedented disease-modifying effects. "We are pleased to be working with Calypso on this exciting and innovative monoclonal antibody product," said Gustavo Mahler, PhD, Chief Executive Officer of AGC Biologics "With our extensive experience developing and manufacturing monoclonal antibody products, we are well positioned to help Calypso deliver this innovative antibody treatment to patients." "We selected CMC Biologics as our manufacturing partner because of their ability to support our accelerated program for CALY-002, since they have extensive experience working with monoclonal antibodies combined with their very broad development and manufacturing capabilities," said Alain Vicari, DVM, PhD, Chief Executive Officer of Calypso. "The successful process development and manufacture of CALY-002 is critical to Calypso meeting our aggressive clinical development timelines." AGC Biologics is a leading global Contract Development and Manufacturing Organization, with a strong commitment to deliver the highest standard of service to our clients. AGC Biologics has an extensive network of cGMP facilities in the US, Europe and Asia. We offer deep industry expertise, innovative solutions and technologies, and customized services for the scale-up and cGMP manufacture of protein-based therapeutics, from pre-clinical to commercial, for mammalian and microbial. We forge exceptionally strong partnerships with our clients, and we never lose sight of our pledge to deliver reliable and compliant drug substance supply, on time. For more information, visit www.agcbio.com. AGC Biologics CEO Gustavo Mahler recently sat down with Global Business Reports to discuss our business and his vision for our future. AGC Biologics was created following AGC Asahi Glass’ acquisition of Biomeva and CMC Biologics. Could you provide an overview of how the three organizations have been integrated? 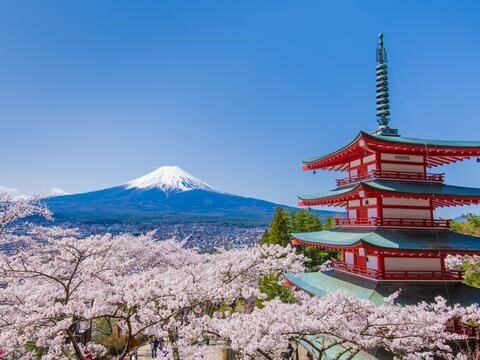 The 2019 CMO Global Consultant Summit kicks off with a welcome reception on Monday evening, April 1, followed by a day and a half of peer presentations, a Chiba site tour, an offsite Japanese dinner, a sightseeing cruise and plenty of networking opportunities! Email us at info@agcbio.com to set up a meeting or contact us via our website http://www.agcbio.com/contact_us/ and visit https://www.surveymonkey.com/r/XKVDJMT to *register today! Email us at info@agcbio.com to set up a meeting or contact us via our website http://www.agcbio.com/contact_us/ and visit https://convention.bio.org/ in early February 2019 to register. continue to do so as well. Additionally, the scope and range of topics will expand to explore trends and innovations that are shaping the future of the healthcare system to its full extent. In all topics, Medical Devices, Biopharma, Digital Health and Diagnosis will be explored where appropriate. The Bio-development Global Congress is the leading Biological Manufacturing exchange, exclusively set to help pioneering leaders boost success and growth by providing the perfect modern era networking platform that is highly informative and delivers a dynamic cohesive environment to benchmark, learn engage, debate, procure and interact at the highest level. Email us at info@agcbio.com to set up a meeting or contact us via our website http://www.agcbio.com/contact_us/ and visit http://www.bio-development.com/delegate-package.html to register today! 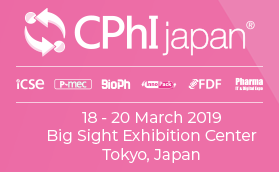 Gathering 20,000+ pharma professionals from 65+ countries worldwide, CPhI Japan is the ideal business platform for international pharma professionals to join in order to grow business in the rapidly changing Japanese pharmaceutical market. Joining 550+ exhibitors, AGC Biologics, is pleased to be a part of this exciting event. Email us at info@agcbio.com to set up a meeting or contact us via our website http://www.agcbio.com/contact_us/ and visit https://registration.n200.com/survey/247c0ahe8jwxq?actioncode=WEB3401&cid=ons_Vs_CNV20181029%7C1&actioncode=WEB3401 to register today! Join AGC Biologics at BioProcess International European Summit 2019. Connecting science, technology & business to optimize bioprocessing, access innovative science & technology across the entire bioprocessing spectrum. Email us at info@agcbio.com to set up a meeting or contact us via our website http://www.agcbio.com/contact_us/ and visit https://lifesciences.knect365.com/bpieurope/purchase/select-package to register today! Engage with AGC Biologics at Europe’s largest springtime biotech partnering event. Looking for a CDMO to help your organization meet its goals? Take the opportunity to connect with AGC Biologics at Life Science Northwest this April.